In a flash of inspiration last year my publisher came up with a plan to get our readers talking about the food articles that I had been writing. Specifically the “What’s for lunch” column. We decided to try the same style of sub (I’m in New Jersey so it’s a sub. But you might call it a hero, hoagie, or grinder.) an Italian-style from every sandwich shop, deli, and pizza place in town that listed it on a menu. I thought it was a great idea and that I was given a raise for each article submitted was icing on the cake. It was the very same day that my husband came home early and informed me that a job he held with a company he helped build for well over twenty years had let him go. Bittersweet? I spent months tasting salami and cheese filled rolls. Hot peppers, some with ham, some without. There was fallout. My gut hurt like it never hurt before and I suffered severe brain fog. I had trouble writing the articles that should have easily flowed from brain to keyboard. The following months proved to be a haze of foggy thoughts and food that was literally making me sick. I thought it was stress. We sold the over-sized suburban money-pit of a house where we raised our three children. Hiring the best real estate agent, was a stroke of brilliance. The house was listed on a Friday and we had offers by Monday. One came in as a cash offer but they wanted us out in five weeks. We took the offer and then hired a professional estate sale expert to make everything we didn’t want to take with us go away. We moved to a mid-century high-rise building on the banks of one of the most picturesque rivers in New Jersey. The move went so smoothly that it became one of the most surreal experiences in my life. But still, my gut hurt and rashes ran around my skin like a murmuration of birds. The brain fog was also a problem. For perspective, you need to know that my Dad owned a bakery as did my Grandfather when I was a kid. Rye bread and challah bread, straight out-of-the-oven were always on our table. Rolls, cookies, cakes and donuts were always around the house. All joking aside, living gluten-free didn’t seem like a possibility. I thought maybe it would make for an interesting story if I tried walking a mile in our daughter’s shoes for a month or so. I arrogantly thought that I was being altruistic. My attitude flat out sucked. I expected the adjustment to eating a gluten-free diet would be peaches-and-cream-easy. I was wrong. But, the ball had already begun to roll in our kitchen because I was already getting a feel for gluten-free cuisine thanks to our daughters. A month into the no gluten regiment became two and then three. I wasn’t willing to give up the miraculous changes that transpired. First and foremost, the brain fog that I’d been fighting for more years than I can remember, lifted. I wasn’t painfully racking my brain to remember tidbits of information anymore. Answers were rolling off my tongue — much to my surprise. My gut felt entirely different too. To be plain about it, my gastrointestinal system started to run like it was supposed to. It was a complete revelation and, like a surprise gift that I never I wanted or asked for, once opened, I was never-ever giving it back. Eight months later there is still a steep learning curve. What to eat and where to find it is an ongoing saga. I found allies in our kitchen at home and in the smaller privately owned restaurants we frequent. My husband is a fantastic cook and he took up the challenge to not only provide gourmet culinary meals for me, but tasty enough to change our recipes so that they became part of our weekly behavior. There is a happy ending to the year of changes. My husband is delighted to be working for a new company. I have lost some of the weight that I gained last year. Sadly and by mutual agreement I am no longer writing a regular food column for the local news site where I had been a contributor for the last three years, and to be honest, I find myself missing that. I loved bringing perspective to the local food scene. I loved the platform that the site provided. I loved being the town-crier of all things delicious and where to find them. I would like to find a healthy balance and start to write about food again. I miss interviewing chefs and tasting what they’re creating. But this year has given me a new perspective. I’m paying more attention to where our food is grown and how it’s prepared. 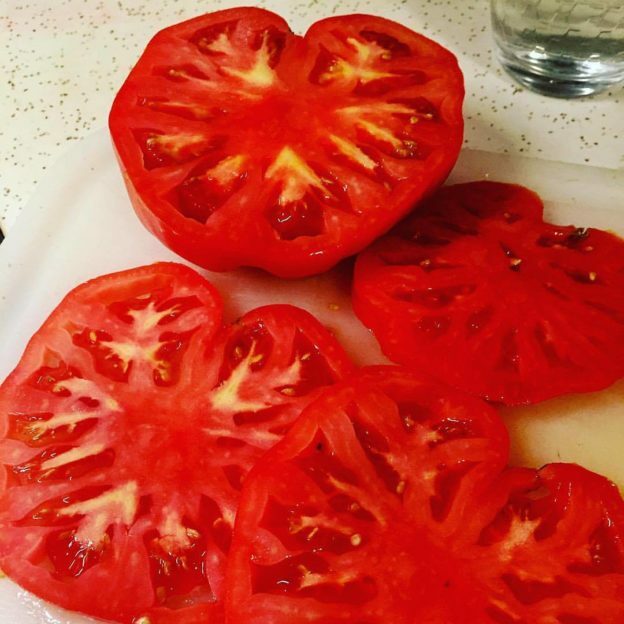 I hope to write more about our local farmers and especially about community gardens and what everyone is doing with the produce that they grow. I’d like to write more about sustainable farming and how that effects what we are eating now. Most of all, I learned this year that change can be good. 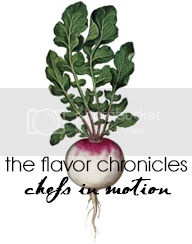 Going forward, you’ll see a transformation in the content of Flavor Chronicles. Hopefully you’ll find our culinary ideas interesting, amusing, and sometimes eyebrow raising but I hope you know that I bring them to you with an open mind and a luminous point of view.